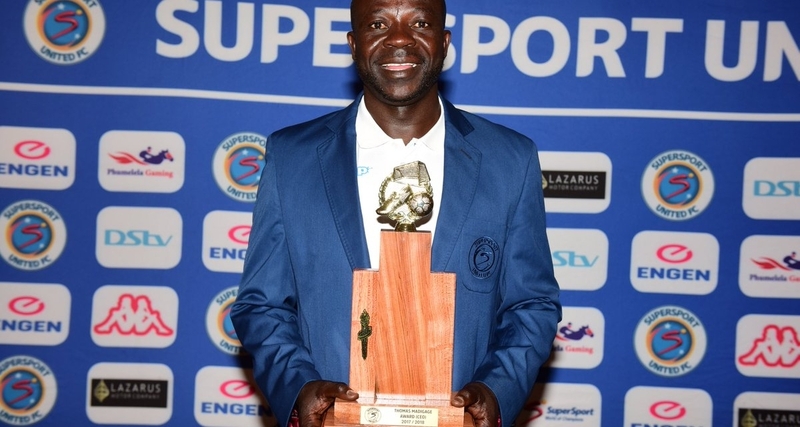 SuperSport United honoured coach Kaitano Tembo at the club awards ceremony held yesterday. The former Zimbabwe international received the CEO’s award presented to him by the club’s chief executive Stan Matthews. Tembo is currently in charge of the squad on an interim basis following the departure of Eric Tinkler in March. He guided the team out relegation last season to finish in the 7th position on the final log standings. The gaffer is now poised to lead United in the new season which will start this weekend against Cape Town City. Meanwhile, other winners at the awards are Dean Furman who was named the Player of the year and Aubrey Modiba who scooped two accolades – Top Goal Scorer and the Players’ player of the year awards.